The Kiosk Scan reader is an especially compact scanner which extracts customer and passenger data from both national IDs and international passports for verification against alteration, forgery or misuse. It is designed specifically for installation into self-serve kiosks, e-gates, and other service desks. 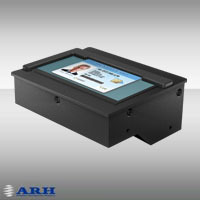 ARH Kiosk Readers provide optimal solution for scanning ID-1 and ID-2 size cards like national ID cards, driver's licenses, health insurance cards, visitor badges, etc. therefore they are suitable for various applications. 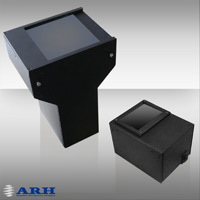 The industry leader OCR algorithm of ARH is included in the attached SDK. It ensures exceptionally high reading rate of ICAO standard OCR lines. By using user defined OCR functions (part of the SDK) it is possible to read the VIZ fields also.